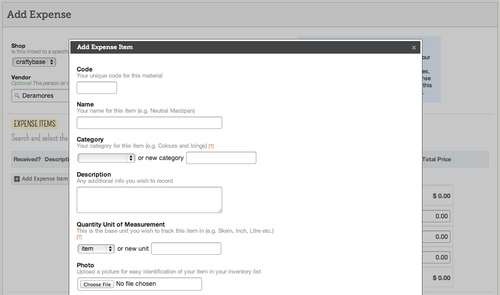 We’ve just released an enhancement to the Expenses page that allows you to add materials directly from this page. Previously, you were only able to add a new Material in name only, and you would need to then edit this material later in time to add additional information such as photos and quantity types. Now when you open the Add Expense Item box on your Expenses page, you’ll now find an “Add new Material” link that will take you to a form to enter in the Item’s details - without leaving the Expenses page. This should hopefully speed up your Expense logging for new materials quite a bit!